M. Evelina Galang on her website describes an occasion where she once encountered a fourth grader who asked her why she writes. “I don’t know why, but I spoke before thinking and what I told him was that I was the oldest of six children and that growing up, my family was very big and loud and chaotic. ‘No one ever listened to me,’ I told him. ‘I wrote my words down so I could be heard.’ Later I realized how true that was. How true that is. 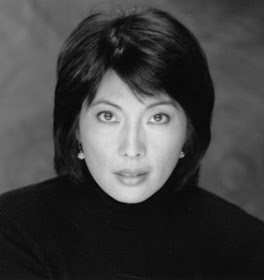 I write so I can be heard.” In a published conversation between herself and poet Nick Carbo, she describes that growing up, she lived in two worlds: one, where she was struggling to fit into the American culture, the other, where she was immersed in Filipino tradition by her Family and the rest of the Filipino Community. Even throughout her adolescent years, when she had entered the “in crowd” she believed that she had a stronger connection with the Filipinos and did whatever she could to keep that connection and the sense of belonging. 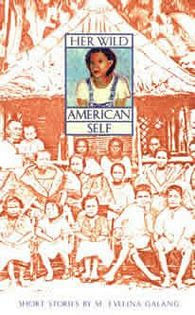 Her book Her Wild American Self is a compilation of short stories of young women struggling with the identity of being a Filipina in America. With various examples of a culture over powering the other or trying to find a balance in between, these stories mirror the experiences of many Filipino Americans. She along with many other Filipino American writers express their struggles of living in two cultures: Filipino and American. The majority of them grew up or arrived in the US in the late 60’s and 70’s and today, communicate their constant longings to return to their homelands or the homeland of their parents in order to be accepted. The older generations of Filipinos in America were forming their communities with one another, while the younger generation was forced into the “American way of life”, attending schools where they were the minority, where they were different, and needed to find ways to fit in. And when they came home, they were in another world, with different customs and morals than they were attempting to follow earlier in the day. Filipino American students were invisible, suffering from racism both subtle and not so subtle, and as children lacked a voice not only socially in America but in their homes as well. This is why books such as Her Wild American Self are important in learning about Filipino American Experience and Culture, because it carries the voice that had been silenced in the past and in the present.